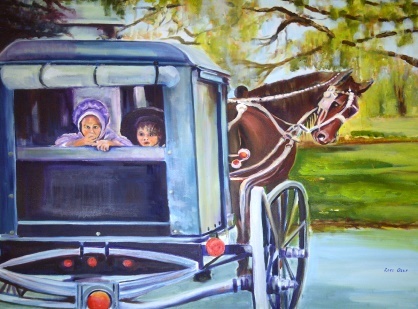 The Blackburn Library in conjunction with Arteast is proud to present an exhibition of horse paintings by Lore Oser Organ. This solo show entitled, “Horses” runs from Sept. 24th until Nov. 26th 2016. Lore has depicted the ‘horse’ in a variety of profiles using different media. The depiction of these magnificent creatures has always fascinated her and will continue to do so in the future. Lore is primarily a self -taught artist who has always enjoyed drawing and painting and the comradery of other artists. This is a unique opportunity for the public to enjoy, encourage and support local artists in their community as well as engaging with the Blackburn Library. The coordinators will be at the Library between 10:30 a.m. and 11:30.a.m. For those who are dropping off art work, please arrive between 10:30 a.m. and 11:00 a.m. so that your work can be documented and hung before 11:30 a.m.. For those who are picking up only, please arrive no later than 11:15 a.m.
We look forward to seeing exhibitors on Tuesday, September 13, 2016. This Fall, we're looking forward to hosting another great workshop series: Over 6 workshops, we cover key painting subjects and walk with some incredible master painters. We respond visually in intuitive ways: to colour, value and texture. Let's create images that have more than form, they have feeling. Join us on an optional local plein-air sortie for part of the day. Alternatively, choose a recent photo or artwork for a day spent celebrating this exquisite season, as with Tom Thomson's "Autumn's Garland". This workshop will include colour and composition techniques that can be applied using a range of mediums at all skill levels. They could not have known the impact on expressionism that their art would have. The rough beauty, emotional honesty and bold colour of their paintings had a far-reaching influence in the 20th century and beyond. With this generation of masters as our inspiration, this workshop will focus on the elements that made modernism possible, colour and design having a certain independence from subject matter. Whatever your style and preferred medium, a lot can be learned from the post-impressionists. Artists through the ages have used the magic of line as an underpinning for form and expression - from the 19th century French notable Jean-Auguste-Dominique Ingres or more recently, the English contemporary David Hockney. This workshop focuses on line along with texture, especially in portraits and figurative paintings. We will review sound drawing and painting techniques, working from both photo references and live model. Participants will be encouraged to pursue their personal style in the medium of their choice. Enlivened your paintings with the crispness of line! The Painted Voyage - Saturday 22 OctoberEver since painters painted, they captured their experiences in travel: before, during and after. Throughout the stages of man, the travel motif has appeared in art. From cave paintings through the multifarious sketch books, fantastical paintings and works of more recent times, travel has been a constant inspiration. Whether you’re an ardent traveler, are inspired by the romance of far away exotic places or perhaps moved by a particular painting from antiquity, come and join us for a day circumnavigating our world! An English Landscape Rivalry: Turner and Constable - Saturday 05 NovemberLandscape painters Turner and Constable were influential exponents of romanticism, an artistic movement of the late 1700s to mid-1800s that emphasized an emotional response to nature. Both were masters in landscape oil painting and sketching in watercolour. This workshop will appeal to painters of all levels interested in exploring the landscape with both realist and abstracted styles. Join us for a day of inspiration by these two masters and the bucolic English landscape. Pierre-Auguste Renoir: portraits and landscapes - Saturday 19 NovemberRenoir holds perhaps a unique place in the annals of art, certainly of impressionism. Equally comfortable with portraits and landscapes, he painted both in pure impressionist style. The warm sensuality of Renoir's style has made his paintings some of the most well-known master works in the history of art. Whether your interest is in landscapes, figurative work or portraits, join us for a day fused to Renoir's vibrant light and saturated colour. All Workshops are from 09:30 am to 04:30 pm at Rothwell United Church, 42 Sumac Street, Ottawa, K1J 6P7. $95.00 per session or $75.00 each for bookings of 4 or more sessions. Additional details are found on our website: http://davidkearn.com/courses_e.htm. These workshops appeal to a wide range of skill levels: from relative beginners to practiced artists wanting to pursue a new style. Together we will dispel myths and develop sound practices, creativity and expression! France and I would like to invite you to join us for an exciting spring painting program. The City of Ottawa Community Art Program invites emerging and established artists, artist collectives and community arts organizations working in visual arts and fine craft to propose an exhibition. The intent of the Community Galleries is to provide exhibition spaces to local and regional artists and to enhance public access and exposure to the visual arts in the City of Ottawa. Proposals will be reviewed by a peer assessment committee and selected exhibitions will be presented at one of the four Community Galleries in 2017-2018. These spaces act as a venue for local and regional artists and community art groups residing within 150 kilometres of Ottawa to display and cultivate the experience of the public exhibition of artwork. They present artists with the opportunity to introduce or expand upon the visibility of their artwork through interaction with a viewing public within a local environment. In celebration of Canada’s 150th Anniversary, the Community Galleries and the Community Exhibition Spaces have decided to do something special to honor the tradition of Canadian landscape in art by assembling related exhibitions across the city during July 2017. The Community Galleries would like to extend an invitation to artists and community arts organizations to generate proposals for exhibitions about Canada Naturally: landscapes by local artists. Canada Naturally: landscapes by local artists to be held during the month of July 2017. FRIDAY, October 7, 2016 at 4:30 p.m.
· Emerging and established artists currently residing within 150 km of Ottawa are invited to apply. · The City of Ottawa supports cultural activity that is inclusive of Ottawa's diverse community in areas such as gender, official language, ethnicity and disability. Proposals from Indigenous and New Canadian applicants are welcomed and encouraged. The City of Ottawa Community Galleries are located within buildings that are designed as “people places” where the general public is invited to freely visit the exhibition space unsupervised. The exhibitor, when requesting an exhibition, is asked to keep in mind that the Community Galleries may not be a suitable venue for exhibiting all forms of artwork. · If an artist has been awarded three consecutive exhibitions, they must refrain from applying to the gallery selection process for a period of one year after which they may apply again. · Artists wishing to apply for an exhibit in a Community Gallery for the period between April 2017 and March 2018 must apply by FRIDAY, October 7, 2016 at 4:30 p.m., following the eligibility and submission guidelines below. · All submissions must include 6 images of recent artwork. These images must be submitted as digital JPEG images (300 dpi or ppi) via www.WeTransfer.com to CGC@ottawa.ca (See p.3 APPLICATION PROCEDURES for details on digital image submission.) The Peer Assessment Committee will not review any other format of images. · It is recommended that the images reflect work that has been completed in the last two years and be representative of the intended direction of the artist's future exhibition. · It is recommended that two of the images submitted should appear as artworks in the exhibition. · All artworks accepted for exhibition must be framed and/or presentable and ready for installation on a click rail display system. Three-dimensional works will require display stands suitable for a gallery exhibition, arranged for and provided by the artist. COPYRIGHT/MORAL RIGHTS - Copyright of artworks shall remain the property of the artist. Moral rights shall remain with the artist. The City of Ottawa will seek copyright permission to reproduce the images for non-profit publicity purposes. CONFIDENTIALITY OF INFORMATION - Administrators and peer assessment committee are required to treat both the content of submissions and the deliberations of the committee as confidential. Information provided by the applicant may be available to City of Ottawa staff, committees, and members of the peer assessment committee. Personal information contained therein shall be dealt with on a confidential basis pursuant to the Municipal Freedom and Protection Privacy Act. Final Authority - Each peer assessment committee is made up of three members from the arts community who are chosen based on their knowledge and experience, fair and objective opinions, ability to articulate ideas, and ability to work in a team environment. The members of the peer assessment committee are different for each call for proposals. The decisions of the peer assessment committee on all matters pertaining to the assessment of artwork related to the Selection 2016 application shall be final. FRIDAY, October 7, 2016 at 4:30 p.m. Late or incomplete submissions will NOT be reviewed. · Applicants will be notified of peer assessment committee details by e-mail approximately two months after the submission deadline. · Due to the large number of applications, submission feedback will NOT be provided. If you are not selected for the 2016 Community Galleries Selection you are encouraged to reapply in 2017. · Artists selected for exhibiting will be engaged through Community Gallery “Gallery Agreements”. · The Exhibitor may sell his/her work during the exhibit therefore no CARFAC (Canadian Artists Representation/le Front des artistes canadiennes) fees will be paid to exhibitors. · The artist is responsible for the sales transaction, the pickup and/or delivery of any artwork sold. The artist will pay a 15% commission on all sales to support the Young at Art or ARTicipate Endowment funds. · All pieces of artwork are to remain in the exhibition for the duration of the show. · The City of Ottawa is not involved in the sale of exhibition artwork. Community Galleries Selection 2016 by FRIDAY, October 7, 2016 at 4:30 P.M.
2. Please note that the digital support material you provide to us will be viewed by means of an LCD projection system during the peer assessment committee selection. · Please be sure to properly label your images as follows: First and last name, followed by title of work, and year of creation used on the application form. Support material sent for Community Galleries Selection submissions will NOT be returned. Should you have any questions please contact Penelope Kokkinos, Arts Programmer at 613-596-5783 or email at Penelope.Kokkinos@ottawa.ca or Mike Taylor, Arts Programmer at 613-580-2424 ext. 29288 or email at Mike.Taylor@ottawa.ca. Artists submitting support material that does not correspond to the preceding guidelines will NOT be considered. You are responsible for testing your submission materials to ensure readability. This form must be completed fully and legibly to ensure your consideration in the peer assessment committee process. The information below will form part of the information package presented to the peer assessment committee. Artist’s Philosophy: Outline your artistic practice, thematic trends and approach to art-making. Which month would be most convenient for your exhibition? Please number in order of preference which exhibition space you would prefer to exhibit in. Hours: Monday to Friday 830 a.m. to 9 p.m.; Saturday 9 a.m. to 3 p.m.